The Fall 2018 Newsletter is here! Click the image to download the newsletter. 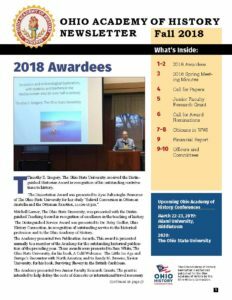 In the newsletter, you will find the 2018 Award winners, calls for award nominations and for papers for the spring conference, and much more!